Following our project with the National Art Gallery's Salted Fish and Koko the Great, the opportunity to work on another series of children's books presented itself. This time, the Ministry of Education had commissioned a series of children's picture books for preschoolers. We developed the overall approach for the series covers, and worked specifically on the book design for three titles in the series. 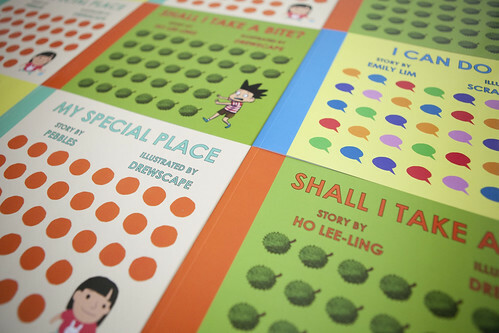 These titles featured illustrations by Drewscape and James Tan from Scrawl Studios. 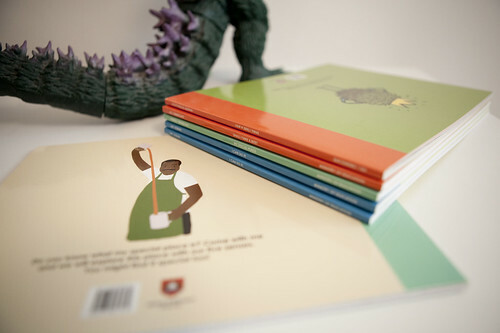 We wanted to make books that preschoolers would be immediately drawn to. This meant a book size that made sense to both small hands (and teachers), and colours that gave contrast and popped. We wanted the repetition of a key element from each story to create a pattern that children could easily recognise, to entice but not give away the story.